The regular seeds Queen of Soul by Brothers Grimm Seeds have their origins in a creation program that spans three generations; with the union of a Princess, a Cinderella 99, a Vortex and a backcrossing of Princess. 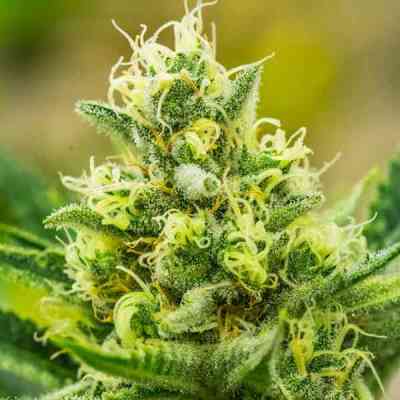 The result is an amazing cannabis hybrid with Sativa dominance that grows with vigor and that offers good resin yields with a delicious tasting and an amazing power. Queen of Soul develops a compact marijuana plant with the shape of Christmas fir tree and with strong ramifications plagued by large and hard buds completely covered in whitish resin. As far as its cultivation is quite simple, a central tutor will be enough for the plant to grow in all its splendor. The aroma and flavor of Queen of Soul are exotic, tropical fruits that flood the senses and with a spicy aftertaste. The effect is powerful, produces a very interesting energetic and cerebral high.